Today I am very happy to share another Nintendo diorama for IKEA’s ubiquitous Ribba frame, this time a scene from Metroid (NES). This design was created by Slawikaruga, who was generous enough to share his creation here with all Metroid fans. Thank you Slaw! 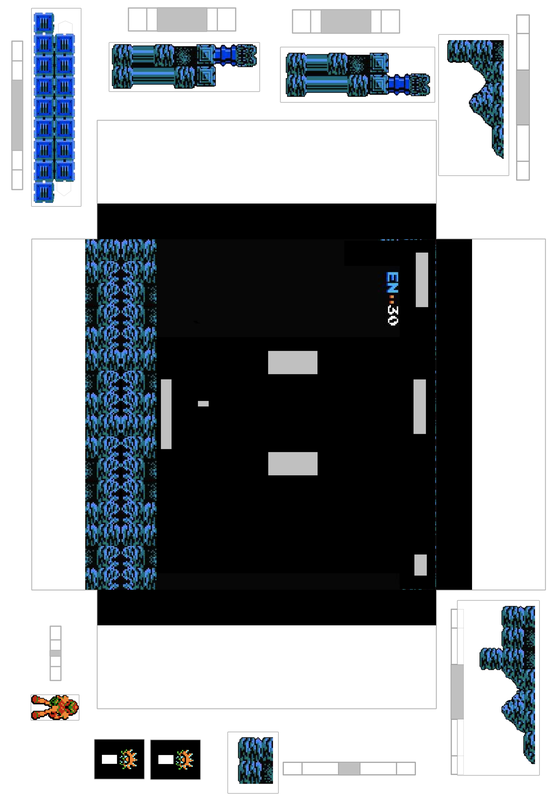 I’m very happy to see this template, not just because I’m a huge Metroid fan, but due to it being the game that inspired the whole “diorama in a shadow box frame” idea to begin with. After the jump you can find the template to build your own. My only advice for these dioramas is to take your time. They are small and ornate, and I will always liken them to those ship-in-a-bottle displays. The end result is fantastic and they always draw admiration from others. Thanks again to Slaw for creating and sharing this papercraft project.